Do Golden retrievers bark a lot? This is one of the most common questions that dog lovers ask when they contemplate getting a Golden Retriever. 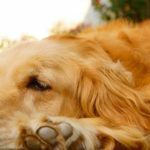 It is an important question for many reasons but particularly because most Golden retrievers are kept indoors and incessant barking on their part can make life very uncomfortable for their owners. So, what is the real answer to this question? All dogs, including Golden Retrievers, will bark – it’s their way of communicating! Just like human beings talk when they have something to say, dogs bark. Expecting a Golden retriever not to bark would be like expecting a person to stay silent for good when they have the ability to talk. But, that said, the fact that people can talk does not necessarily mean that they have to do so all the time. In the same way, even though dogs have to bark, they do not have to do so all the time. Dean Koontz, a prominent breeder and trainer of Golden Retrievers, puts the matter into proper perspective when he says, “Golden Retrievers are not bred to be guard dogs, and considering the size of their hearts and their irrepressible joy in life, they are less likely to bite than to bark, less likely to bark than to lick a hand in greeting..”. Most Golden Retrievers usually only bark when they have a reason for doing so. Excitement – Golden Retrievers, especially youthful puppies, love to play a lot and are quite excitable. They express their excitement by barking. For instance, when a Golden meets a strange dog, it will almost invariably always express its excitement by barking. Distress – boredom, physical pain or an urgent call of nature are a few examples of distressing situations to which a Golden Retriever will respond by barking. Distress barking tends to be protracted and continues until the problem causing the distress is sorted out. 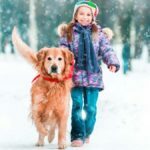 Aggression – although Golden Retrievers are generally peaceful most of the time, they can show signs of aggression once in awhile, especially when they feel threatened and may bark at strangers. This aggression will express through slow barking and growling. Like human beings, each Golden Retriever is different from the next one. While one Golden may seem to bark a lot, another Golden might be completely mute even when in the same environment as the first. There are a number of factors that influence and determine how much a Golden Retriever will bark, the most significant of which is the upbringing and training of the dog. Golden Retrievers that receive very little or no training and are brought up in hostile or aggressive environments generally bark more and show more aggression. So, do Golden Retrievers bark a lot? Most Goldens that are properly trained and brought up in a loving and comfortable environment tend to be more peaceful and bark much less than the average dog.